Slotted uprights accept your choice of optional hook-on trays, shelves, or pegboard panels. Rolls smoothly on 6 x 2" phenolic casters, 2 swivel and 2 rigid. Available single or double sided. 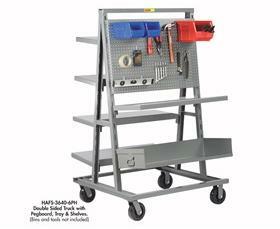 Optional accessories include Trays, Shelves, and Pegboard Panels. Order truck and accessories separately. FOB Shipping Point. 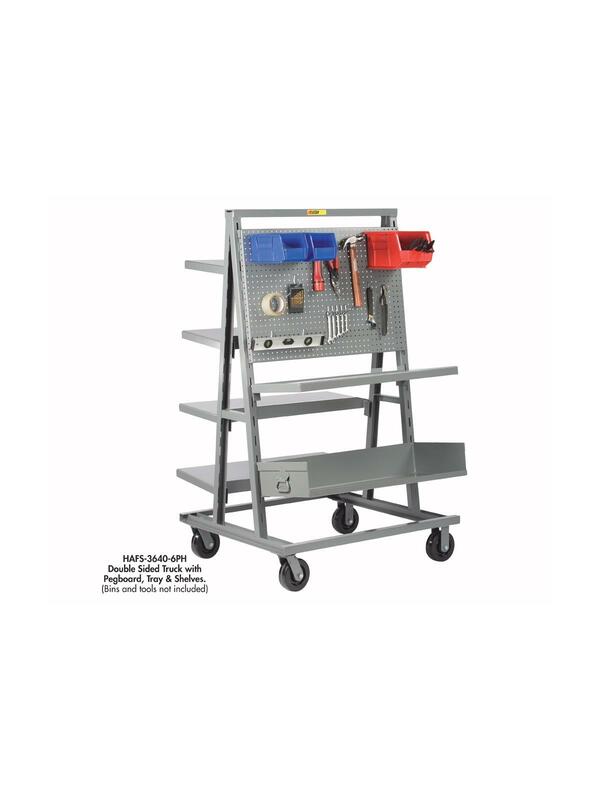 See Related Items tab for Hook-On Accessories for Adjust-A-Tray Trucks. 40 x 36 x 67"40 36 67"